Clint Eastwood is a filmmaker and actor who has dabbled in many genres over the years, from heavy dramas like Million Dollar Baby and Mystic River, to war movies like Letters from Iwo Jima and American Sniper, and even sweeping romance in The Bridges of Madison County. So it’s fitting that his most recent film, The Mule, which he directed and stars in, the first one of his films that he has acted in since Gran Torino in 2008, mixes elements of drug thriller, police procedural, family melodrama, and even a hint of romance. It’s a bit uneven in some of these areas, but The Mule still provides a very satisfying and bittersweet swan song for a true screen legend who, at 88-years-old, has already stated that this will likely be his last onscreen role. Inspired by a true story, which was documented in the New York Times article The Sinola Cartel’s 90-Year-Old Drug Mule, the film follows Earl Stone (Eastwood), an aging horticulturist and Vietnam War veteran in Peoria, Illinois who is somewhat estranged from his family. He has an ex-wife (Dianne Wiest) who tries her best to avoid him and resents the fact that he prioritized work over family, a middle-aged daughter (Alison Eastwood) who wants nothing to do with him, and a granddaughter (Taissa Farmiga) who strives to maintain a relationship with him, putting her at odds with the rest of her family. Facing foreclosure on his home, and badly in need of money, Earl is offered thousands of dollars in cash if he transports a large shipment of cocaine into Chicago, and he ends up becoming a drug-runner for a Mexican cartel, who offer him the job thanks to his spotless driving record. While his old age and cool confidence behind the wheel of his truck allow him to avoid suspicion, the cartel’s movements are being closely tracked by Colin Bates (Bradley Cooper) and his partner Treviño (Michael Peña), a pair of DEA agents who are determined to stop the drugs from entering Chicago. 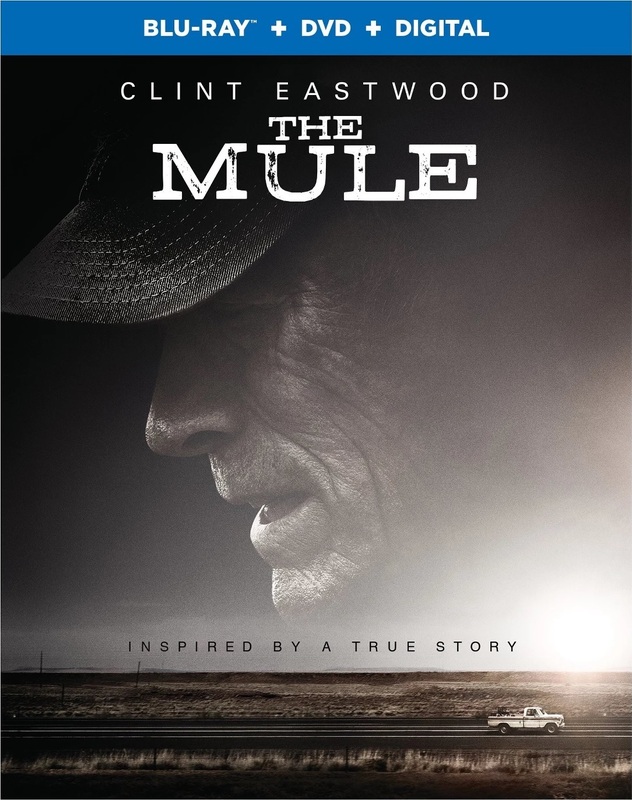 Like The Old Man and the Gun, which also came out last year and provided a wonderful career capper for Robert Redford, who has similarly stated his intentions to retire from acting following that role, The Mule provides a great showcase for Eastwood’s strengths as an actor. Earl Stone is a man who has been fending for himself for decades, and he isn’t about to stop now, even as he pushes ninety. Eastwood portrays him with the determination and steely resolve of a lone cowboy not quite ready to ride off into the sunset, and the few scenes that he shares with his American Sniper star Bradley Cooper feel almost like a passing of the torch between the two performers. Eastwood is obviously a natural fit for the role of a grizzled old man who makes no secret of his total dissatisfaction with “young people these days,” says casually racist things without really meaning to be racially insensitive, and can barely hide his frustration and disappointment over the direction in which his country is going. But he also allows himself to appear frail and vulnerable in the film’s emotional final few scenes when his character is forced to accept his fate, and the last act of The Mule gives us the bittersweet feeling of seeing the legendary actor’s career coming to a close in real time. While the story meanders a bit at times and lacks some of the weight of his best work, Eastwood’s direction is as efficient and economical as we have come to expect from him. He keeps the film running smoothly as it builds towards its inevitable conclusion, often bringing a pleasant, laid back quality to the material that is befitting of the central character. This is a thoroughly enjoyable and ultimately touching film to watch, providing a fitting tribute to Eastwood’s own career as an actor. The Mule is a Warner Bros. Home Entertainment release. It’s 116 minutes and rated 14A.